Sherwat Elwan Ibrahim is Associate Professor of Operations Management in the Department of Management, School of Business, at The American University in Cairo. She holds a Master’s and Ph.D. in Technology Management from the School of Business, at Stevens Institute of Technology, NJ. Her Ph.D. dissertation was awarded ‘Best Dissertation’, by the Wesley J. Howe School of Technology Management. Her Masters thesis was on applying Total Quality Management principals to vocational training in developing countries. Sherwat’s current research interests include sustainable supply chains and responsible sourcing, buyer-supplier relationships, strategic outsourcing, and renewable energy management and adoption. She has several publications in prestigious journals including Journal of Economic Geography, Strategic Outsourcing Journal, Journal of Manufacturing Technology Management, and has been jointly awarded the Ted Eschenbach prize for Best paper in Engineering Management Journal, and the “Bright idea” award, for her paper in New Jersey Publications. Sherwat teaches several courses in the area of Operations and Technology Management including; Operations for Competitive Advantage, Operations Strategy, Supply Chain Management, Product and Process Innovation, and Technology and Innovation Management. 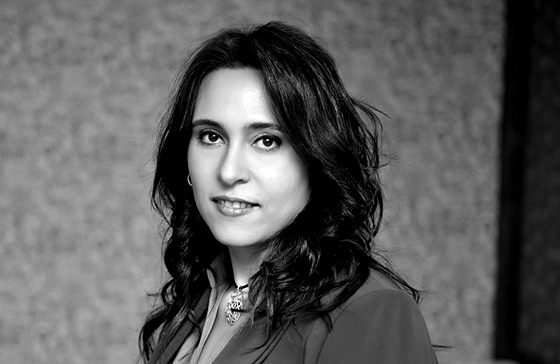 She is an expert in consulting and training SME’s, and is a core faculty member of Goldman Sachs Women Entrepreneurship and Leadership Program (WEL) that has overseen the graduation over five hundred women entrepreneurs in the Middle East. She has received extensive Executive Education training from Wharton and Kellogg business schools, and has also received training on Sustainable Entrepreneurship from the Centre on Sustainable Consumption & Production (CSCP) in Wuppertal, Germany. Sherwat is also Partner and Senior consultant at Innovety, an innovation management consulting firm and affiliate of Boston-based IXL-Center.